Kits will be shipped to you monthly (TWELVE shipments). Be sure your email address and the mailing address listed by PayPal are up to date, if you have a change address during the BOM program contact us at the shop so we can be sure all of your monthly shipments arrive safely to you. CLICK HERE If you would like to view additional yardage from the GARDEN VARIETY fabric collection. 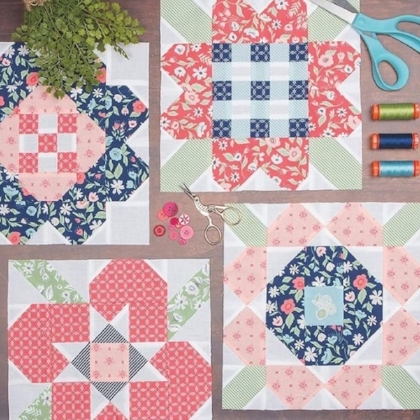 BACKING fabric is not included in the monthly BOM program, The pattern suggests you will need 5.5 yards of Garden Variety backing for your quilt. 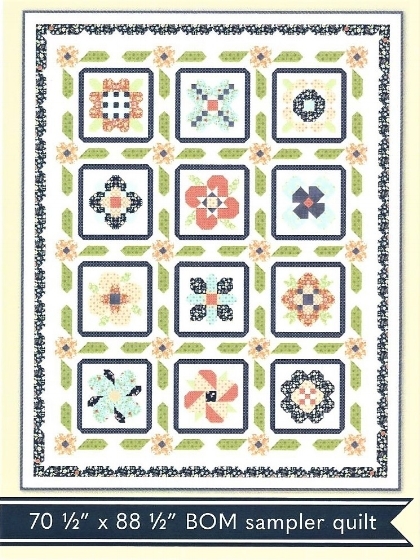 CLICK HERE to shop from the Garden Variety Collection for your backing. The quilt finishes at 70.5” x 88.5”. The included Garden Sampler book will ship with your first monthly kit.